It's a fact: Privacy, Integrity and Non-repudiation are becoming strong requisites for both internet communications and to protect local files. Digital signatures and cryptography are already being used to guarantee integrity of installer packages, privacy and authenticity of e-mail messages and text documents. D-BUS is a method for IPC that is becoming more popular each day, allowing communication between applications. It has the potential to add the possibility of interaction with other programs in an easy way. In this talk I will show why is it important to have an easy to use cryptographic provider. I will also do an overview about which functions are already ready to use with D-BUS and some examples of how to use it. Felipe Zimmerle has been involved in open source projects since 2001 when was a developer of FreePKI Project, a full web certificate authority. He is a user of KDE since version 1.0. He also worked as a security engineer for almost five years, where he dedicated most of his time to research and development of software and technology with a focus on PKI, acquired experience in the use and development of cryptography libraries such as OpenSSL Toolkit and Bouncy Castle API. Currently he works on software development related to the Maemo platform at the Nokia Technology Institute - INdT. 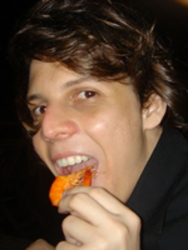 Additionally, he is about to finish his BSc degree in Computer Engineering at University of Pernambuco and spends his free time working on projects like this. Also does aggressive inline skating and sometimes he finds time to sleep.